For lunch today, I used some of the leftover brown rice with seaweed and the black beans to make my own version of a Chipotle bowl. 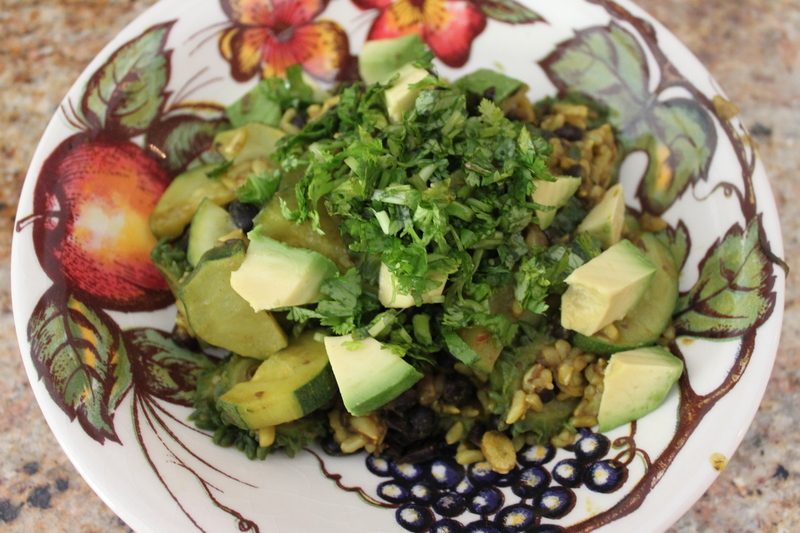 I used freshly ripe avocado, squash, bitter gourd (which is a famous Indian vegetable that is very bitter in taste so use sparingly depending on your taste), and a sprinkle of spices and cilantro leaves. 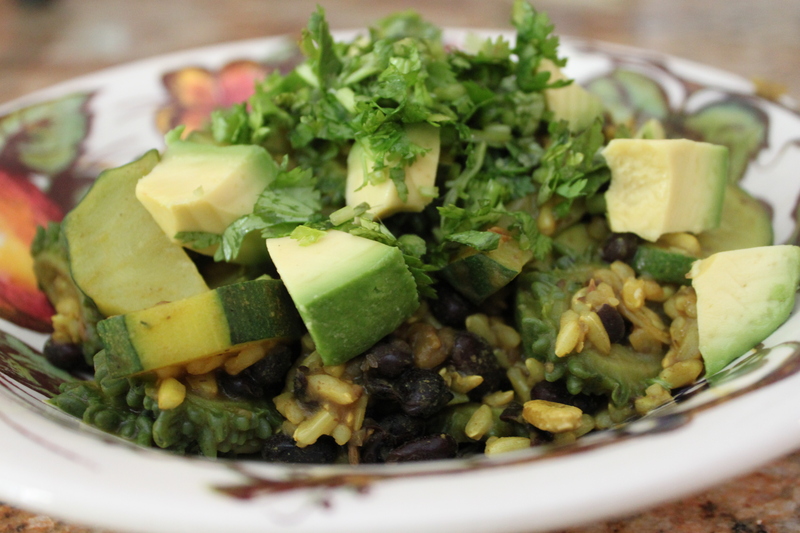 It was really easy to whip this lunch together since all I had to do was cook the vegetables with the rice, beans, and spices in a pot on the stove, and then just sprinkle with the avocado and the cilantro leaves. It’s an easy to-go meal as well. 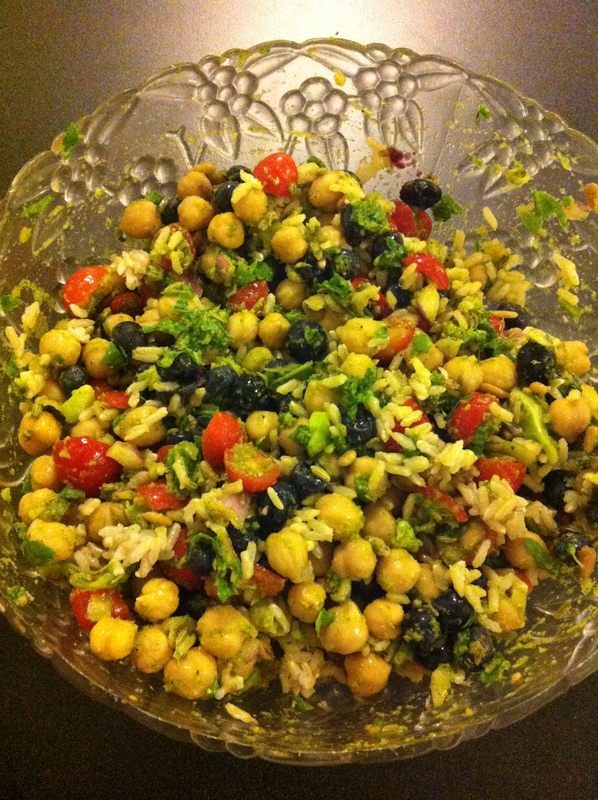 It’s filling since it has a blend of carbohydrates and protein; it’s healthy since it is packed with natural plant-based foods only; and, it’s tasty! I usually make black bean rice bowls whenever I am craving Chipotle so it’s perfect to feed to kids as well since we all love Chipotle. You can add your own twist to what you add to the beans and rice whether it be corn, salsa, lettuce, vegetables (peppers, onions, squash, pumpkin, leafy greens, etc. ), avocado, etc. 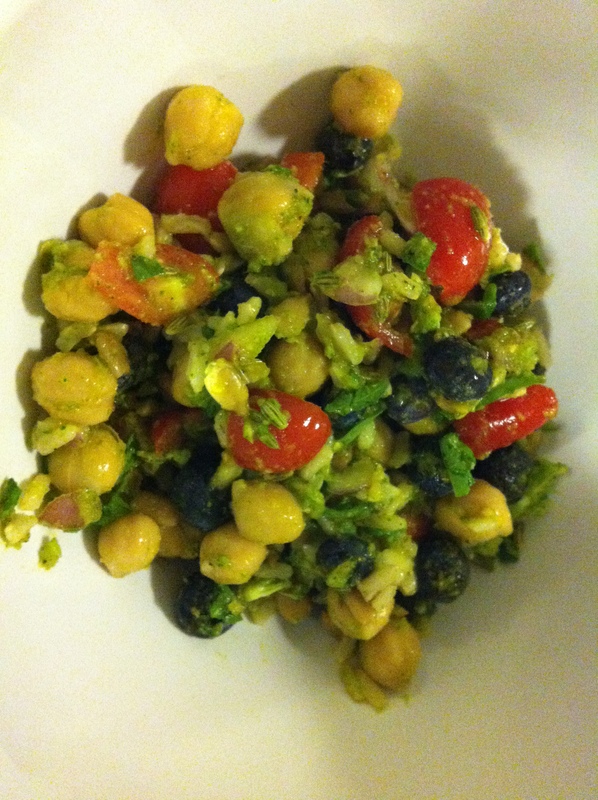 I chose avocado and vegetables, but play around with your options to satisfy your own stomach!